If your wondering why you can't take away the catchy beat of When I'm Gone cup barrage edition, it's just because the song's too good for the wide screen. It is just one reason why we loved Pitch Perfect -- of course you add Anna Kendrick as one of those reasons... The movie was so good we can't get enough of it. Luckily we get a sequel, which I think is just as good as the first. Just watch it global trailer and see why. This Elizabeth Banks directed sequel brings back the old cast and more. It stars Anna Kendrick, Brittany Snow, Anna Camp, Rebel Wilson, Alexis Knapp, and Adam DeVine. This Universal Pictures full-length presentation was written by Kay Cannon and produced by Paul Brooks, Elizabeth Banks, and Max Handelman. 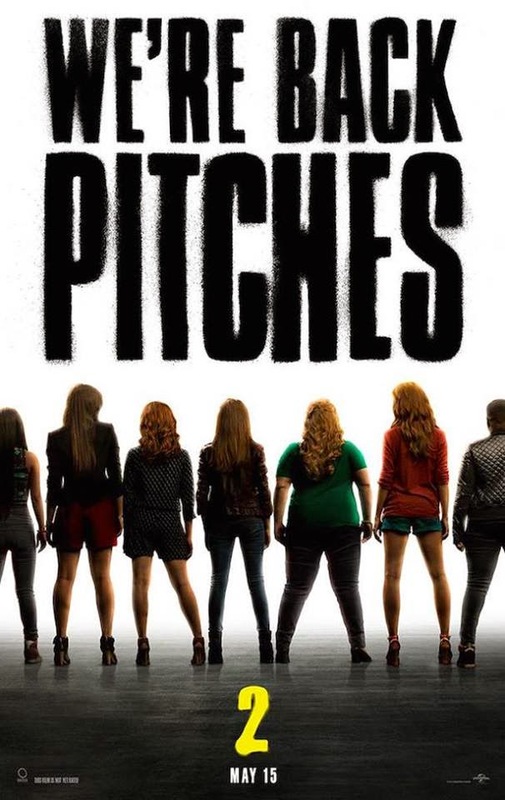 Check out the new trailer of Pitch Perfect 2, and sing along if you can't help it. And here are some more promotional material and poster. The Barden Bellas are back in Pitch Perfect 2, the follow-up to 2012’s smash hit. The comedy will be helmed by Elizabeth Banks, co-star and producer of Pitch Perfect, and produced by Paul Brooks, Max Handelman and Banks. Writer Kay Cannon returns to the team to pen the next chapter. Pitch Perfect 2 comes out to theaters on May 15, 2015.